Excavate your very own crystals. Add them to your rock collection. 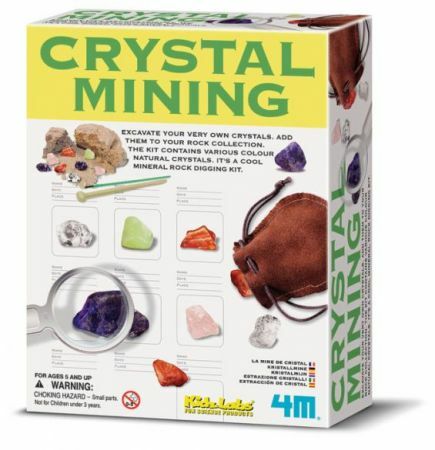 The crystals included are natural crystals which sizes, colors, and color combination may vary. Approximate sizes range from 15mm - 20mm. Contents: 1 plaster block with 8 natural cyrstals buried inside, 1 specially designed digging tool, 1 brush, 1 magnifier, 1 set display case with cover and base card, 1 pouch bag and detailed instructions with fun facts.